Induction Therapy Ringing Patterns (IPR) is a natural technique. 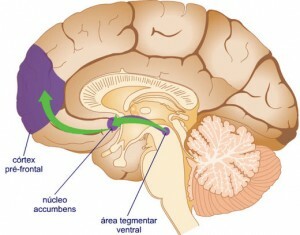 This biofeedback technique balances in a natural way the Nervous Sistem to quit, to avoid or minimize withdrawal symptoms from lack of nicotine system. .
Thalamic neuron theory (Tsun-nin Lee 1974.1977), (Oleson 2002). Theory of endorphins (Sjolund and Ericsson 1976) (Abbate et al 1980) (Oleson 2005) (Cabana and Ruiz 2004). When the lack of nicotine you quit unbalanced nervous system, it is what note as anxiety, irritability, moodiness, nervousness, change of character, insomnia, concentration difficulties, constant desire to smoke, etc. Your nervous system will automatically try to rebalance to return to function well without nicotine, but most of the time do not get or take at least 8 weeks to start doing it. The IPR treatment helps this process of rebalancing occurs within a few hours so they do not have “mono” or the minimum possible, so quitting is much easier and your chances of success much higher. After only a query success rate is 85%, if taking psychotropic drugs daily probability is around 60%. (Remember that if you take psychotropic drugs should not abandon them, leave will not automatically increase the likelihood of success) .